Renewables First was recently hired to produce detailed designs for a hydropower scheme in the Snowdonia National Park, and project manage the installation through to commissioning. The site had already obtained planning permission and abstraction and impoundment licenses had been granted by Natural Resources Wales. Lady’s Dingle is located near Betws-y-Coed, Gwynedd, within the Snowdonia National Park and only a couple of miles from the picturesque Conwy Falls. The immediate surrounding area is of mixed use, including agriculture, woodland and open countryside. The hydropower scheme will be located on the Afon Gwrysgog. The scheme will comprise a 45 kW Turgo turbine, utilising a 50 m head and a flow rate of 156 l/s. The intake weir makes use of a natural bedrock step in the watercourse, which helps to reduce construction costs. The intake will include a 1 mm Coanda screen – as is often the case with high head schemes – as well as an eel pass. The 400mm diameter HPPE pipeline will convey water from the abstraction point to the new turbine. The pipeline route will pass under grazing fields for approximately 550 m to the final discharge point on the Afon Gwrysgog. The turbine will discharge water back to the Afon Gwrysgog, via a concrete ‘U-bend’ structure designed to minimise noise. The discharge point will include a 10 m screen to exclude fish. The turbine house will be faced in natural stone, as will the intake structure. This is to ensure that the scheme blends in with the landscape and local vernacular, given that it is located within the National Park. Construction works have begun, and despite challenging weather conditions, the in-river intake works were completed after less than two weeks on-site. The pipeline will be installed in early November, with the turbine house due for completion in early December, ahead of the turbine delivery in mid-December. It is anticipated that the scheme will be completed and commissioned by the end of the year. 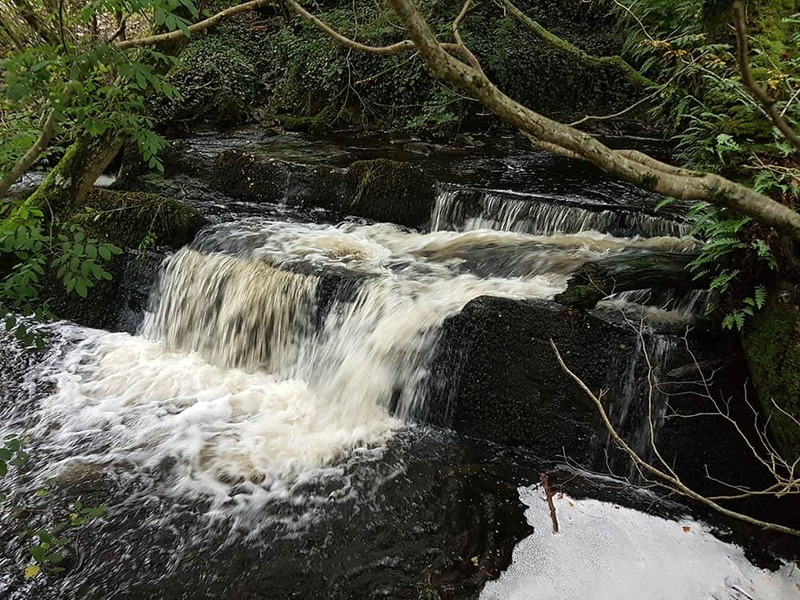 We are proud to be working with two fantastic Welsh companies to deliver this project: Co-Hydro as main contractor and Hydrover as turbine supplier.